Speed & Excitement! By far one of the funnest experiences on Oahu. Book comfortably knowing that changes and cancellations are allowed up to 17:00 local time, 3 business days prior to the activity. Guests who are pregnant or have had recent spinal injury (head, neck, back) or recent surgery to these areas will not be allowed on the tour. All participants must sign a liability waiver. Guests must be able to hike approximately 8-10 minutes across uneven terrain. Am I big enough to zipline? Height & waist restrictions ensure proper fit of the harness. Weight restrictions ensure proper zip speeds (in general, the heavier you are, the faster you go). If you want an active adventure, combine ziplining with a single passenger ATV adventure at Kualoa Ranch. Combine the excitement of ziplining through the air and riding an ATV in the valley with this combo tour. Ranch Style Buffet lunch included! Transportation picks-up in Waikiki at 7:00am and departs Kualoa Ranch at 2:45pm & 3:45pm. 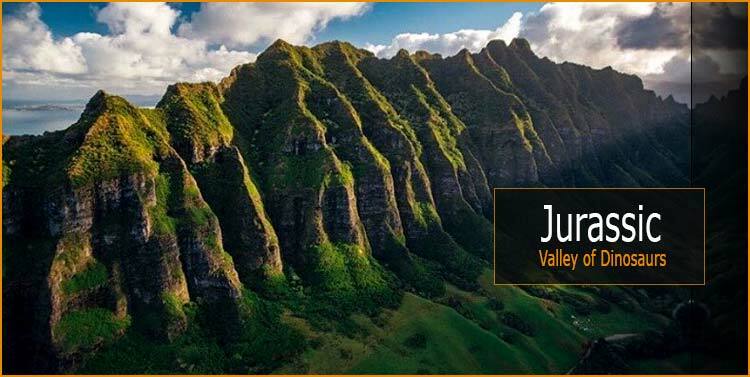 Drive yourself on this rousing one hour ATV adventure at Kualoa's scenic valleys and remote areas. Enjoy the ride rain or shine. You can cross seasonal streams and ramble through the mud. 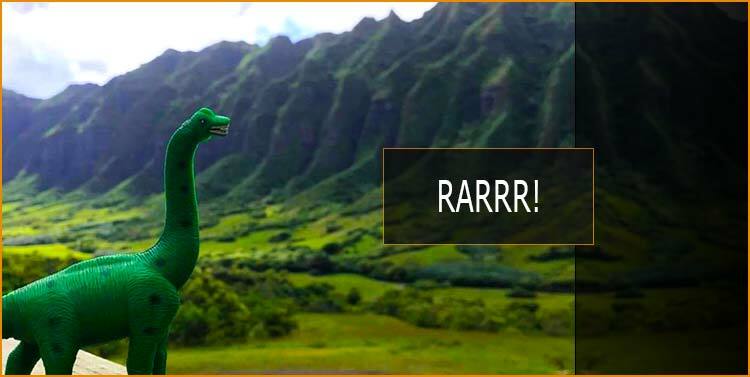 The ATV tour will go over a saddle trail to visit movie sites in Ka'a'awa Valley where Jurassic Park, Windtalkers, You, Me & Dupree, 50 First Dates, and Lost were filmed. Begin the Kualoa Ranch Zipline Tour at the top of Ka'a'awa Valley. The 2.5 hour zipline tour includes seven exciting tandem sections are perfect for friends or couples who want to zip side-by-side. Safely walk across the two exciting suspension bridges (don't worry, you're clipped in across the bridges!). Throughout the tour you will be enjoying nature including three mini-hiking trails that take about 5 minutes each. Ka'a'awa Valley has a rich cultural history and each of the seven ziplines is named after a culturally significant element of the valley. Your zipline tour guide will share with you Hawaiian traditions, flora, and fauna as you cross natural streams and zip through this gorgeous windward valley. The zips were designed so that each provides a distinct cultural experience and learning opportunity. The Jurassic Zipline is safe, fun and easy. No experience required! First time "zipliners" immediately get the hang of it. The state-of-the art automatic braking system allows you to enjoy the views and the thrills without having to do a thing. There are no handbrakes on this zipline. Your guide will stop you automatically at the end of your zip. 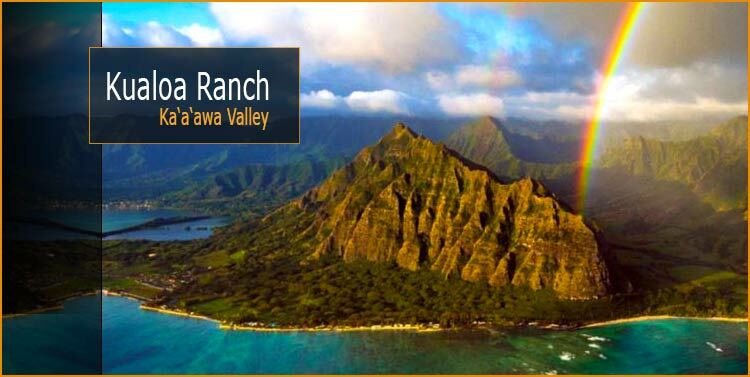 The Zipline and ATV adventure at Kualoa Ranch is very popular and availability is limited. Book as early as you can to make sure you can get your spot. Tour time requested will be reconfirmed by email within 24 hours of placing your order. Clothing Restrictions: All guests must wear closed-toed shoes. Long hair should be pulled back and loose jewelry or clothing should be avoided or tucked away. Bug repellent. Mosquitoes are not prevalent, but may be in the rain forest. Guide gratuity is not included and not required, but encouraged. TIP: Advanced reservations are recommended as many tours sell out 2-3 weeks in advance, so please accept our apologies if the tour you want is not available. You can also search for single seats as they will usually be available on tours at the last minute if you are willing to split up. *Kama'aina is a word describing Hawaii residents. Please give yourself at least 2 weeks in advance to book ahead. If this Zip + ATV is not available checkout Coral Crater Zip & Madmax ATVs. *Includes an all-you-can-eat ranch style buffet for lunch. If you are driving yourself, please add at least 15 to 20 minutes to your GPS time as delays may occur on the two lane highway. Transportation departs Waikiki at 7:00am and returns at 2:30pm. Please choose only morning tours if you require transportation. Kualoa is just 45 minutes from Waikiki. Take the H-1 Freeway west to the Likelike Highway, Route #63. Proceed up the Likelike Highway and through the Wilson Tunnel. Descend towards Kaneohe town and exit onto Kahekili Highway, Route #83, heading north.